Prefacing the use of a portable ultrasound machine in today’s growing technological market is a big deal, considering its far-reaching and its benefits. 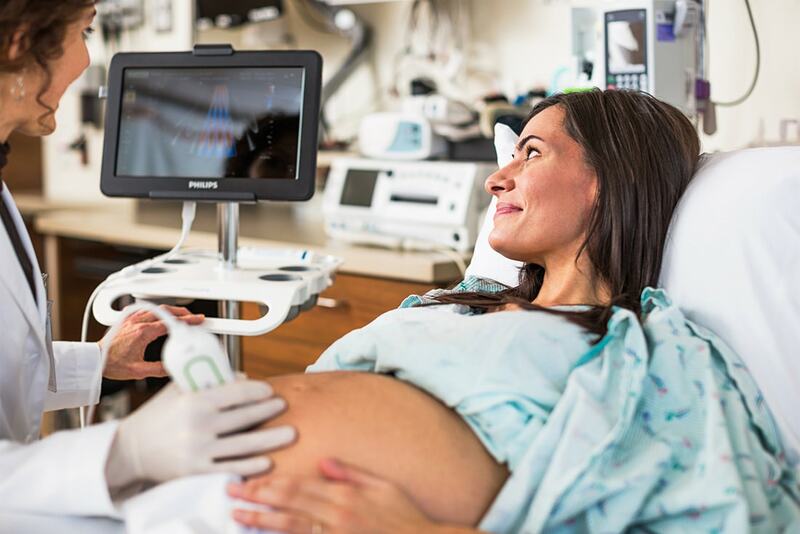 Many professionals are adopting the portable ultrasound machines to meet the challenging demands of clean imaging, smooth functionality, and portability options. The portable ultrasound machines have reduced the discomfort of the patient to go up and down in the hospital and wait for hours for their turn. Also, expecting mothers do not have to go to ultrasound centers, as now most gynecologists have portable ultrasound machines to ensure safety and well-being. When professionals or institutions are looking to buy best portable ultrasound machines, they are chipping into an already competitive market where both professionals and consumers are fully aware of the how portable ultrasound machines have become the innovative solution to upgrade the standards of management and clinical practices. Portable ultrasound machines are comparatively more small and compact and quite convenient to carry around the premises. In comparison with a standard ultrasound machine which is more costly and bulky, portable ultrasound machines assure convenience to both the professionals and patients. Knowing the kind of technology that persists today is imperative when you’re setting yourself up to buy new ultrasound machines. Below, discover the incredible benefits of having a portable ultrasound machine in any environment, big or small. With the growing number of patients in every hospital the responsibilities of professionals to examine patients in clinics that are most often overly-crowded is getting extremely difficult and complex. Since a traditional ultrasound machine takes up too much space and costs an exorbitant amount, professionals are succumbed to take each patient to a separate room for diagnosis which makes patients wait in long queues for hours. With a portable ultrasound machine, professionals can instead take the examination process to the where the patients are and not the other way around. It ensures that the diagnosis is done right the first time. Professionals can conduct an in-depth diagnosis which allows them to determine the patient’s condition and treatment, eliminating any false interpretation due to lack of medical equipment. The portable ultrasound machine assures quicker diagnosis than a traditional ultrasound machine. One of the most important benefits of a portable ultrasound machine is that it helps professionals keep the treatment process transparent and frank with the patient. For example: if a patient with a heart condition were to be able to view his/her heart functioning in comparison to a normal person’s heart on a portable ultrasound machine that’s right next to his bedside, he/she is more likely to follow the doctor’s recommendations for the treatment. With the help of a portable ultrasound machine, both patients and professionals can openly view and discuss the diagnosis and understand the condition with real-time imaging that otherwise would have been an extremely complex thing to do due to lack of sufficient medical equipment and accessibility. In a medical facility, traditional ultrasound machines are costly and hence they’re not available at every clinic or hospital. And with the soaring patient number, there is an aggressive demand for ultrasound machines. This demand increases the diagnosis cost for medical facilities and institutions which reflect on the medical bills for their patients. If medical facilities switch to portable ultrasound machines, it revolutionizes the standards of conducting clinical diagnosis to save costs and make treatment affordable. Making a decision to buy new portable ultrasound machines ensure cost saving and improved patient experience. A portable ultrasound machine is extremely useful for professionals who practice in serious environments like in the Emergency Room, the Operating Room, and the Intensive Care Unit. In such environments, patients are extremely vulnerable to be transported to another room for any further diagnosis, so it is dangerous to shift one or more patients to different rooms for an ultrasound. Even in immediate emergency situations, professionals may not get the time and resources to transport the patient into the ultrasound room, which is why a portable ultrasound machine would come in handy. Professionals can handle any emergency situation as and when it arises to conduct a diagnosis of the patient at short notice. This machine can eliminate the unnecessary delay in diagnosis and treatment and ensure the well-being of the patient. The utilization of portable ultrasound machines has introduced trainees to adopt a new, progressive and upcoming science which benefits how the health care system functions internally and externally. Using portable ultrasound machines really has left an impact on medical management especially when it comes to surgical inventions and procedures. Professionals are better-equipped and qualified after undergoing the correct training to understand patients and improve their lives. Internal medicine physicians and other clinicians have also given up the dependency of traditional tools such as the stethoscope for diagnosis, which is now considered outdated. The specific requirements of having a portable ultrasound machine depend on many factors; one of them being the kind of condition or diagnosis that is required. When deciding to buy portable ultrasound machines for pregnancy, features like the 3D/4D option are proven beneficial for your patients, on the other hand, a portable ultrasound machine bought to fulfill diagnosis for a cardiac patient, whereas portable ultrasound machines offers more diverse and relevant options for patients. There are also many portable ultrasound machines in the market which have the feature to transfer your patients’ files to the facility’s software system regularly. We provide useful portable ultrasound machines that would be best suitable for your practice with brands like GE, Sonoscape, Sonosite and Edan whose ultrasound machines have made it possible to guarantee more convenience and effectiveness to both professionals and patients in the entire healthcare spectrum. Our machines come with guarantee and warranty to ensure hassle free experience to the medical practitioners and hospitals.